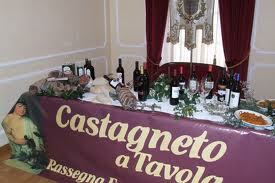 From the 7th to the 22nd April the town of Castagneto Carducci, in the heart of the Maremma Livornese in the centre of the Etruscan Coast, is holding its 17th edition of “Castagneto a Tavola”, wine and food festival dedicated to the territory of Bolgheri and Castagneto Carducci and its culinary excellence. 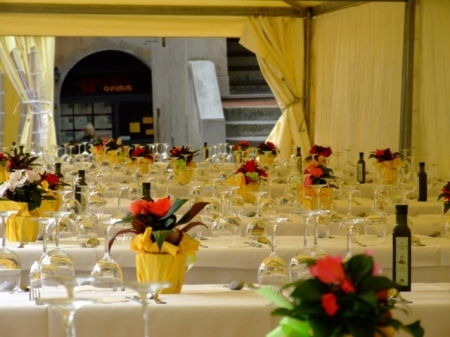 Tastings, musical performances, theatre, barbecues, chefs and housewives, restaurant and winery events and of course all the fragrances of the best wine on the Tuscan coast are the ingredients laid on the table. Even in this 17th edition there will be many initiatives related to this beautiful territory. As every year the local wineries open their doors to the public offering tours and tastings right where their grapes grow and are crushed. 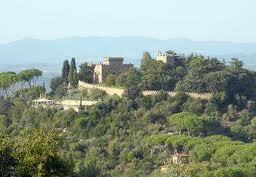 On Saturday 14th and Sunday 15th April there will be a special wine tasting which will unite Bolgheri to Bordeaux. A must is the traditional lunch in the square on Sunday 15th where local delicacies prepared by the housewives will be served. The main course will be the traditional wild boar head as by age-old recipe. In the afternoon the streets will be animated with buskers, jugglers, tightrope walkers and balloons set free, ending with spectacular fireworks. For the whole period of the event the Museum dedicated to Italian poet Giosuè Carducci and the Olive Oil Museum will remain open also during the weekend, whereas the restaurants of the area will offer dedicated themed menus. Other initiatives include a ‘gourmet walk’ on Sunday 22nd, a 10km trail between vineyards and wineries, to explore the picturesque countryside between Castagneto Carducci and Bolgheri, passing through Segalari with its ancient castle. Obviously en route wine tastings for participants. That’s what I call drinking to your own health! Questa voce è stata pubblicata in Fêtes & showcases in Tuscany, Tuscan food and wine. Contrassegna il permalink.